Duca’s Neapolitan Pizza is always striving to present the perfect meal and the perfect service. 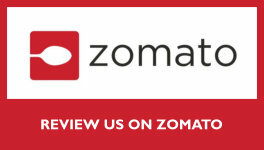 Please share your feedback with us so that we can always deliver an excellent dining experience for you. Very good, very authentic! Being very Italian and from Chicago our pizza expectations were high. We were pleasantly surprised with this very authentically Italian-tasting pizza! They have a real brick oven and outdoor seating is available. My mother, who is off-the-boat Italian, told me she wouldn’t be having any because of how particular she is with her pizza. So we didn’t order her one, lol but that didn’t stop her from eating half of my pizza! It was THAT good! Excellent sauce, nice and sweet! Duca’s Neapolitan Pizza – The Best! We have dined at two Duca’s Neapolitan Pizza locations — one on Voyager Parkway and the other on Cheyenne Mountain Blvd. Both are excellent! All pizzas are cooked in an authentic custom-made wood-burning oven. Duca’s Margherita pizza is delicious. I wouldn’t think of trying a different pizzeria in Colorado Springs. Amazing & Authentic Italian Pizza! We just got back from a trip to Italy and were dying for something authentic when we got back. Duca’s was recommended by a friend so we gave it a shot. Absolutely outstanding pizza. I’d give it a dozen stars if I could. It’s authentic Italian pizza — made us feel like we were back in Italy. Amazing pies!!!!! If you are reading this and want pizza, stop reading and just go! The dough is excellent and the service is fast and friendly. We had the Blanco, margarita, and buffalo chicken pizzas. All were outstanding! The Nutella dessert is also a must-have. This is some of the best pizza I have had in Colorado! Best wood oven pizza! Went to Duca’s for lunch for the first time and fell in love. The Duca salad is tasty and fresh as I love arugula. But the rosemary ham and mushroom pizza were to die for! I could live off that pizza. So darn delicious! All the toppings were amazing including the creamy ricotta cheese. I’ve been craving it since and can’t wait to go back! Fresh Ingredients! This locally owned neighborhood restaurant offers over baked pizzas. They use fresh ingredients, which is always a plus. Fair warning– this is not the typical Americanized Pizza Americans are used to, as this is like a traditional pizza you would eat in Naples, Italy. Since I was born in Naples, I rather enjoy eating a more classic Italian Pizza every couple of months. Delicious Pizza and Salad! My husband and I ate at Duca’s for the first time today and we were so impressed with the freshness of the ingredients and the quick friendly service. We ordered the Duke 12″ pizza to share and we each had a Duca salad. Both were scrumptious and were served to us in less than 15 minutes. Our salads were presented in chilled salad bowls with a yummy Italian bread knot on the side of each. The perfect amount of dressing added to enhance the arugula, pine nuts, and Gorgonzola cheese mixed throughout. The crust on the pizza was nice and chewy and perfectly done. Toppings were fresh and combined to produce delicious complimentary flavors. We will definitely be back. Great Individual Pizza! I am a New York Pizza fan, but Duca’s has won me over. I love their pizza. The sauce is tangy and mixes well with the cheeses. The only downside is how close it is to my house, which means I eat it more than I should, but it is worth it. Here at Duca’s Neapolitan Pizza, we love hearing from our delighted customers. If you have an experience or story to share, we would love to hear it! Duca's Pizza is nothing like the local pizza joints I grew up on. They use all fresh ingredients, most are directly from Italy, and then cook it in 90 seconds at 800 degrees in a wood-fired stove! You've gotta try the Nutella Piadine for dessert!